Endurance athletes have to be excellent time managers as they try to juggle jobs and family responsibilities with training. All too many try to pick up additional minutes by cutting down on their sleep. 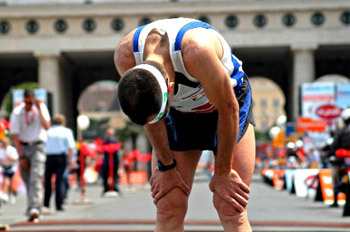 This may be self-defeating, however, as recent research indicates that sleep deprivation impacts endurance performance in three ways: 1) by decreasing the efficiency with which muscle cells convert fuel into energy, 2) by interfering with normal appetite circuits, and 3) by negatively impacting muscle recovery. Although we live in a 24/7 world, our bodies are still hardwired to operate in the day time. As we move more of our activities into the nighttime, studies show insulin levels increase. In the presence of higher insulin levels, there is a decrease in the efficiency with which carbohydrate is converted into energy and an increase in the conversion of carbohydrate to fat. Any decrease in metabolic efficiency translates into a decrease in endurance performance. 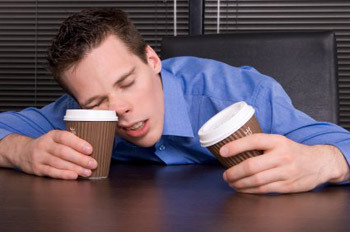 The second consequence is that sleep deprivation interferes with normal appetite function. Maintaining the caloric balance between exercise activity and food consumption is critical for a serious endurance athlete. Sleep deprivation interferes with the pathways that control hunger and fullness. Sleep deprived individuals demonstrate a significant increase in daily hunger. The third consequence of sleep deprivation is an increase in cortisol levels. Cortisol is the “anti-recovery” hormone. High levels of cortisol increase muscle damage and reduce the repair and rebuilding of muscle protein. Normally, cortisol levels increase while we are sleeping reaching a peak at about 6:00 A.M. When we are sleep deprived, however, cortisol levels remain elevated. In one study, researchers found an increase in cortisol levels after sleep deprivation that lasted more than two days. Increased levels of cortisol lead to reduced muscle protein synthesis and increased protein degradation, and ultimately poor post-workout recovery. What does this all mean to the time-challenged athlete? Getting sufficient sleep has to be a critical part of your training regimen. Cutting down on your sleep may give you more time to train, but it will make your training less effective. Research shows that you are better off training a little less yet more effectively by giving yourself the 7.5 hours of sleep you need every night. Dr. Robert Portman, a well-known sports science researcher, is co-author of Nutrient Timing and Hardwired for Fitness.